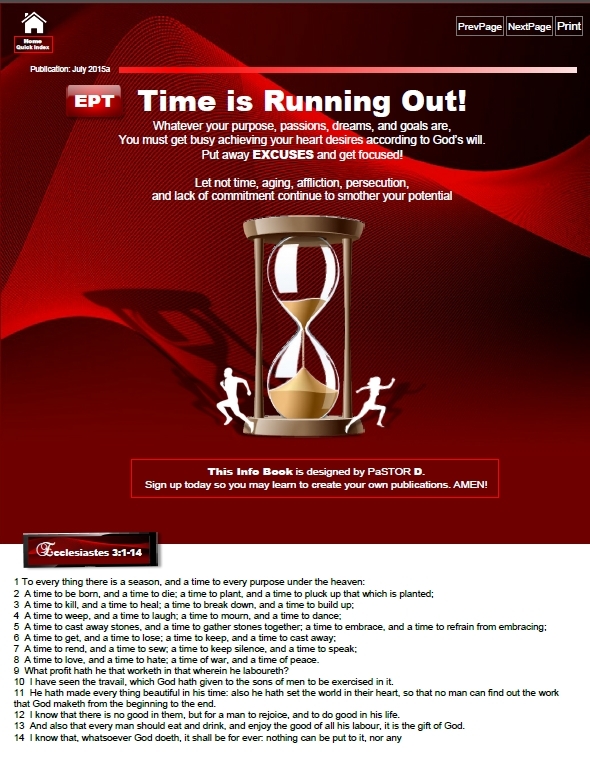 Brochures - (EPT) Excellence Private Training Sign up online today! PaSTOR D sign up today for private training (In-Home). We provide piano, guitar, bass, keyboard sequencing, voice, song writing lessons. 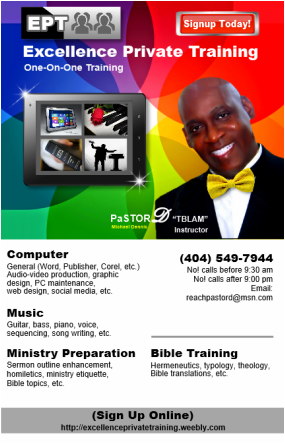 Also audio & video production graphic design, website designing and ministry preparation & bible training. Click the Cover below to ﻿open the book﻿. Enjoy your browsing! Click "PHOTO "or LINK' below to open a brochure.